March Madness is Here! - Oliver Manufacturing Co. Discounted prices through the month of March for all Oliver Voyager and Maxi-Cap Platinum gravity separators! 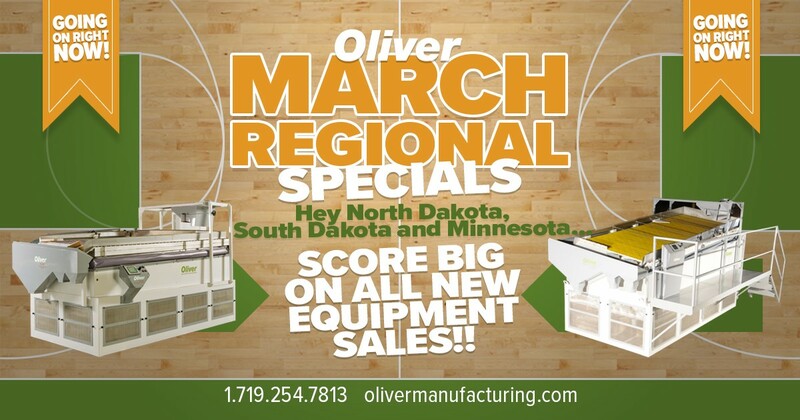 Please contact Oliver for more information by calling 719.254.7813, or by writing to contactus@olivermanufacturing.com. Happy March Madness and stay crazy!